The tulips are up and we haven't had snow in two weeks. I think it is finally safe to say, spring is here! However, I do live in the Midwest, so it wouldn't surprise me a bit if we had a blizzard next week. 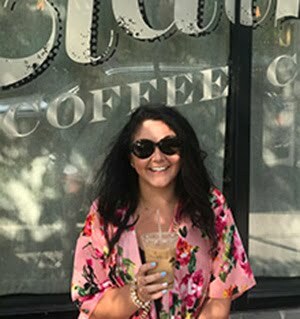 This past week I spent some quality time in my closest, weeding out the winter clothes that were not worn this past season and making room to bring out the summer frocks and tanks. Summer is my favorite season, so while I await the 80+ degree heat, I thought it would be fun to come up with some ways to transition my wardrobe AND my man's wardrobe. In all the years I've spent blogging, I don't think I have ever discussed KJB's style or done a mood board for him. That is partly because he tends to dress fairly stylish himself; he tends towards athletic and preppy most of the time. Once I got started on the mood board, I realized how much I loved pulling pieces for him, so I couldn't help but do more than one! Three categories of his and hers to carry you well throughout a weekend together. First getting active, as we love to take walks along the river together on a sunny Saturday. For him, I've pulled his standard workout wear - a bright, Dryfit top, runners shorts, and his trusty Braves cap. KJB has gone through several pairs of these exact running shoes while training for and completing races, so I know they must be good. For her, some bright colors and a bit of floral, which is the perfect combination for spring. I have not yet tried out these spiral hair ties but they seem to be all the rage, so I'll have to pick some up and give them a go. 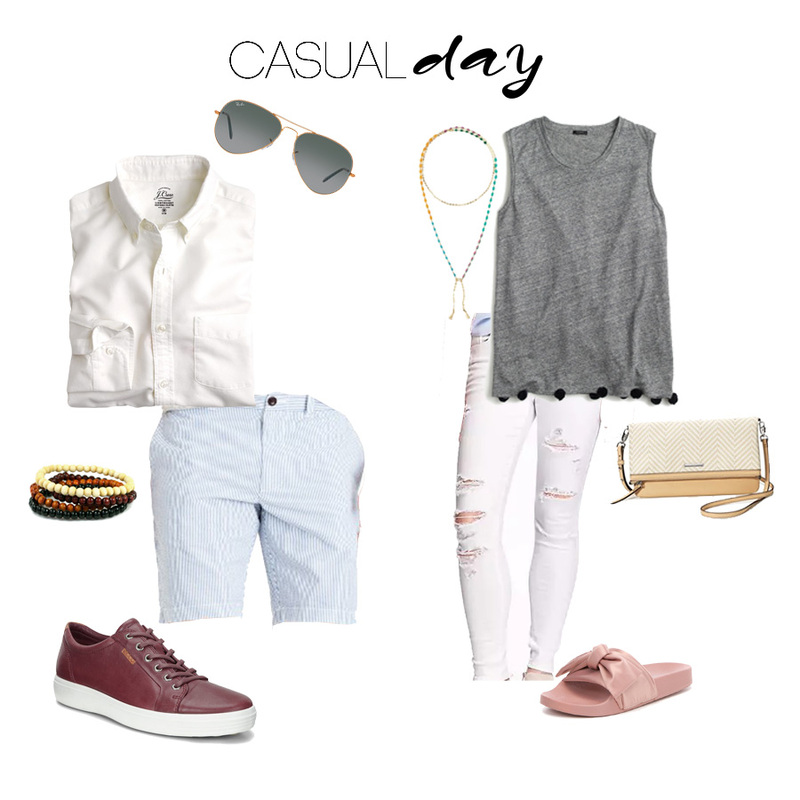 Next up, is a casual day out. Running errands on a Sunday afternoon is a pretty standard occurrence for us. For him, light colors and seersucker makes for a perfect spring combination. KJB loves to accessorize so I added wooden beads and a pair of classic RayBans, two things I know he considers staples. To add some interest, these burgundy leather sneakers really change the attitude of the outfit. 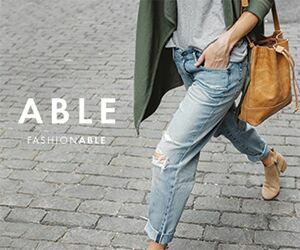 For her, distressed white denim is a staple. Paired with a couple of pompoms and a bow, the look is fresh and casual. The bright colors of the lariat necklace make the look playful. On to date night, which I must unfortunately claim does not happen all too often for us. We love to be out and about during the day and tend to hunker down in the evenings. But every once in a while we will dress up a bit to tour the town. For her, off-the-shoulder and floral is the way to go. The black background keeps it sophisticated and paired with a simple wedge and clutch, this look is classic and feminine. For him, a smart, straight pant paired with a tan sweater and a derby shoe. 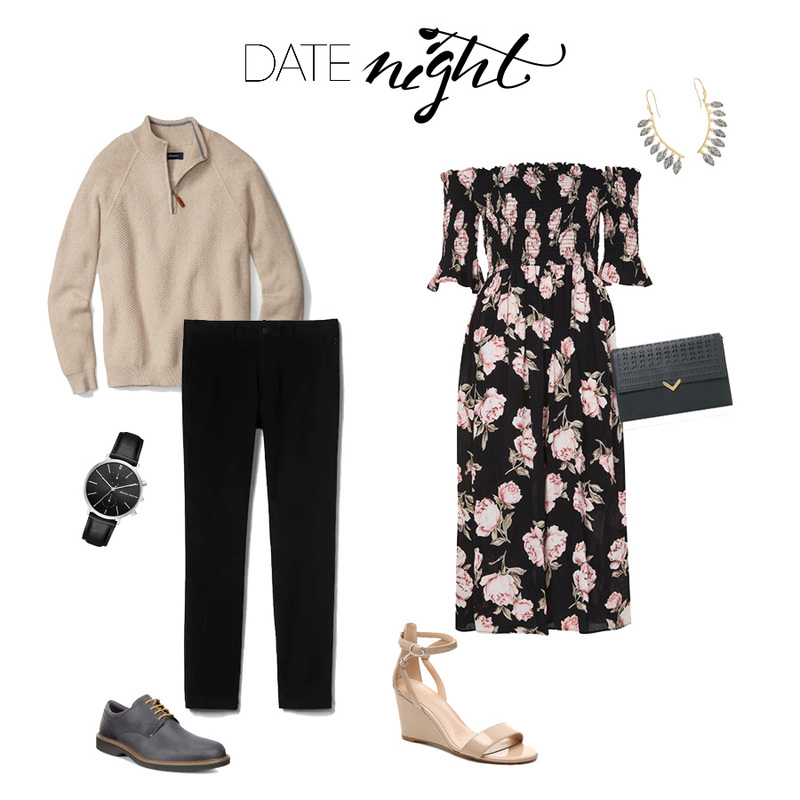 The neutrals are perfect for evening and the sweater is just cozy enough for her to lean into to shield the crisp air. 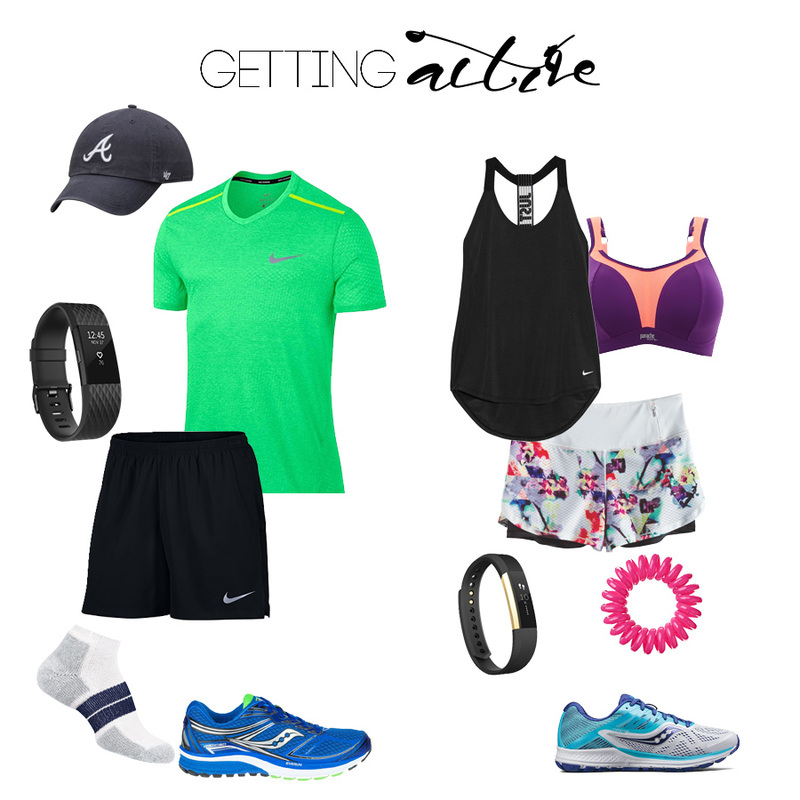 What are your go-to's for spring? What colors and patterns are you mixing into your wardrobe? I think for him, I'm going to hunt for a bit more burgundy accents and perhaps pull him way out of his comfort zone and try a patterned pant. (Like these or these from Bonobos!! OMG!!! They have some really trendy and classic options.) If I manage to succeed, I'll be sure to update! Happy weekend! Weeding out the winter clothes is a good idea. Really lovely collection of women fashion accessories. I loved crepe tops. Thank you for sharing tips.